How’s the reading going?? 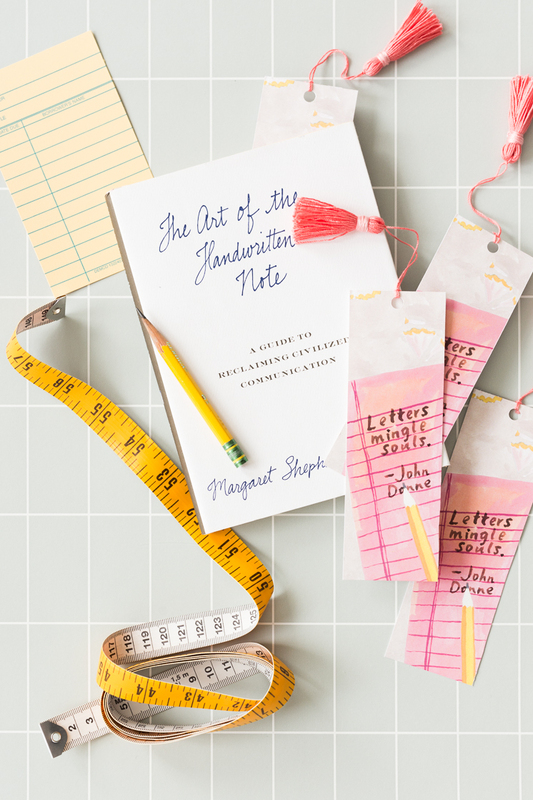 Margaret Shepherd’s book, The Art of the Handwritten Note, may be tiny, but we hope you’ve realized that it’s FULL of helpful tips and advice on the etiquette of handwritten notes. Has it inspired you to start writing more? 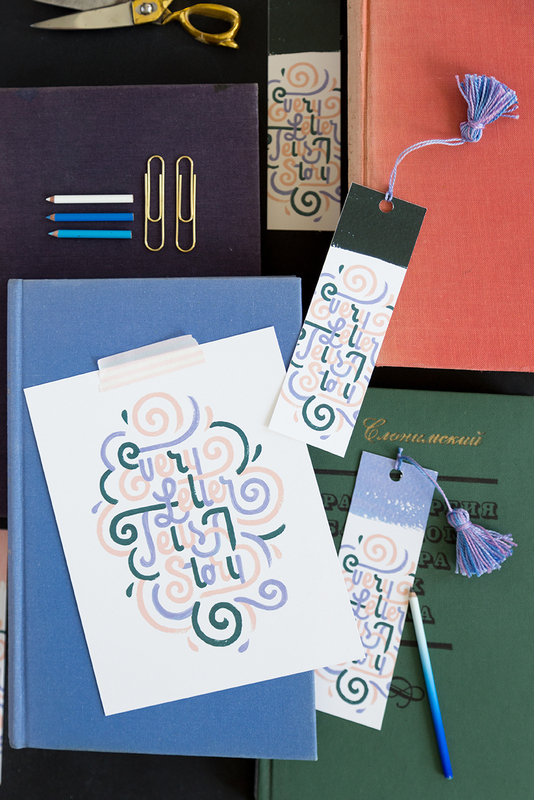 Have you found some pretty pens and stationery? Personal cards and notes are always a joy to receive in the mail, but as Ovid said, “While writing, the very pleasure gives toil.” We hope this book helps YOU enjoy the writing, giving, and sending aspect of handwritten mail. Christmas music has been ringing through the studio these last couple weeks and I couldn’t be happier about it! As much as I love an N*SYNC (a terribly underrated Christmas album if you didn’t go to high school in the late 90s!) Christmas album, nothing quite beats the classics. You simply can’t celebrate the holiday season without listening to the Twelve Days of Christmas! 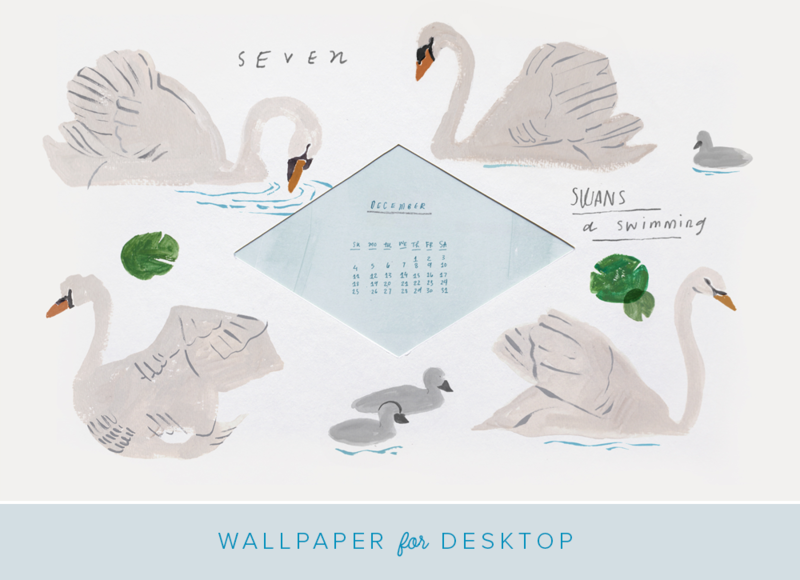 To keep you in the Christmas spirit all month long, we’ve got the sweetest “seven swans a swimming” you’ve ever seen for our December 2016 downloads for your desktop and phone. 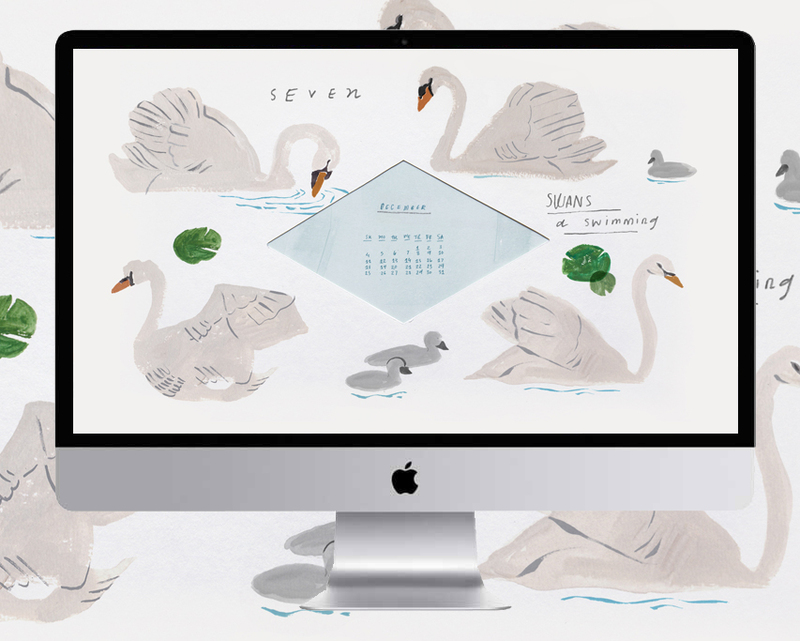 I love the muted palette of the swans, it’s lovely and festive but understated. 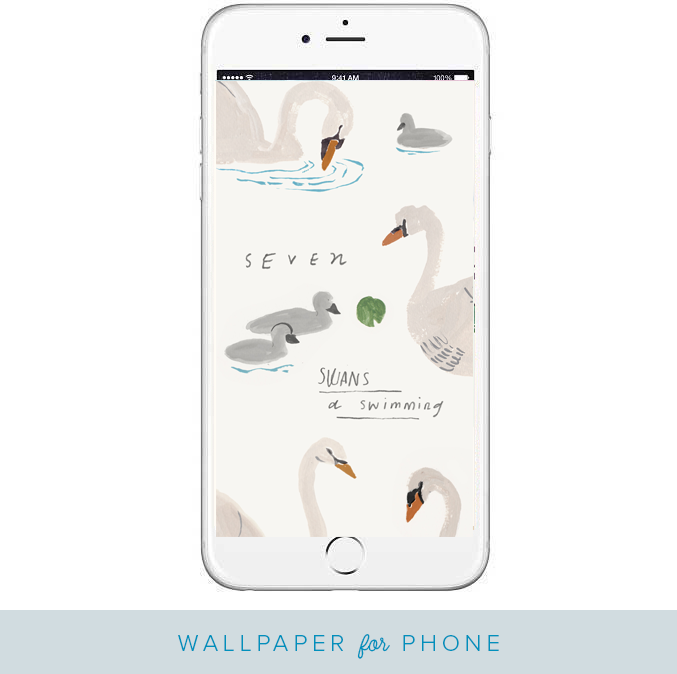 Just looking at these swans brings me a bit of calm amidst the chaos that can come during the holiday season. Here’s to hoping that everyone enjoys at least a few peaceful and relaxing days this December! Can you believe it’s already November?! Halloween came and went, and we are seriously considering making every Friday “costume Friday” at the office (We might be a little obsessed). But, don’t be mistaken, I am all ready to hop on the Holiday bandwagon now! 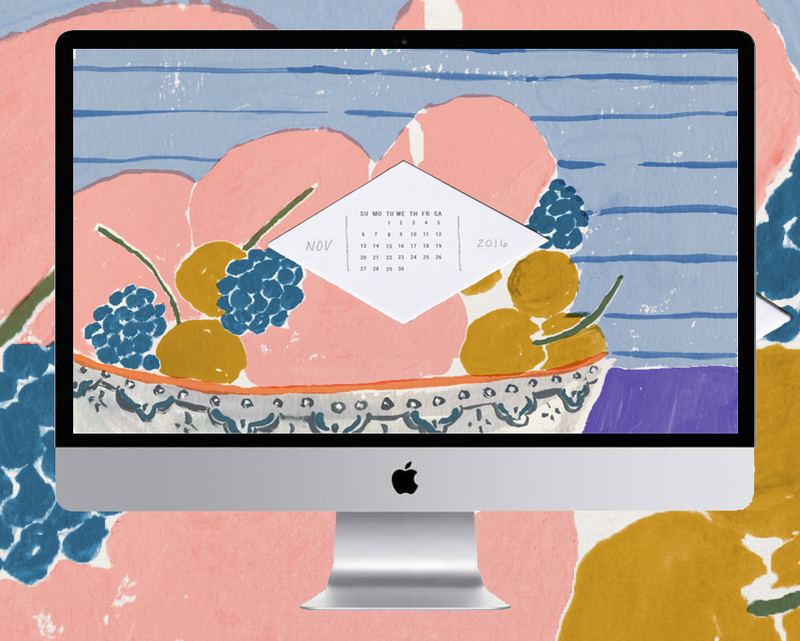 November brings cooler weather, cozy sweaters, friend gatherings, family reunions, Christmas preparation, and bountiful food! 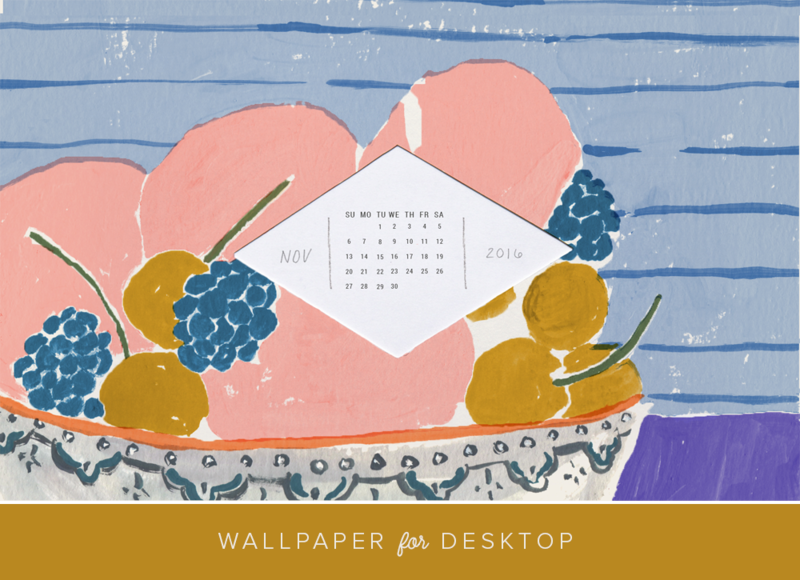 We love this fruit bowl illustration for your desktop or phone because it captures the essence of November in a fresh palate we adore. It’s already October, which means Halloween is just around the corner! 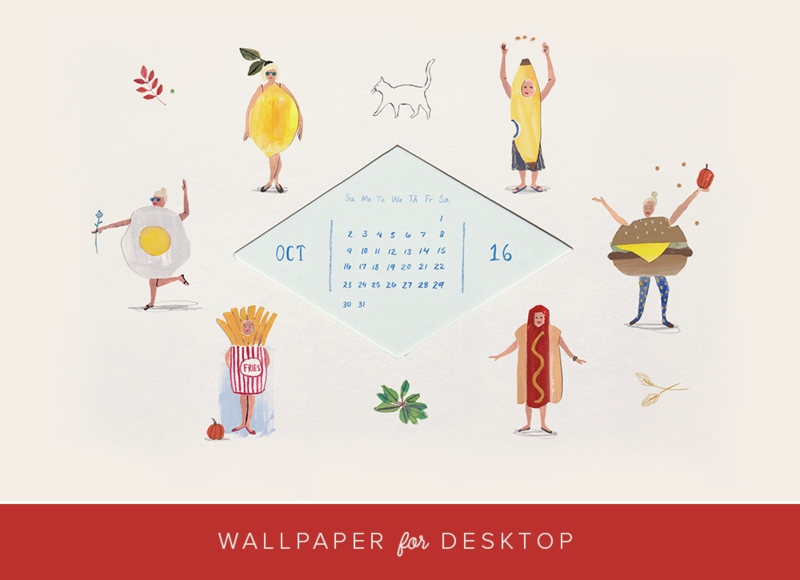 Here is a little costume inspiration for your desktop or phone to get your wheels turning. 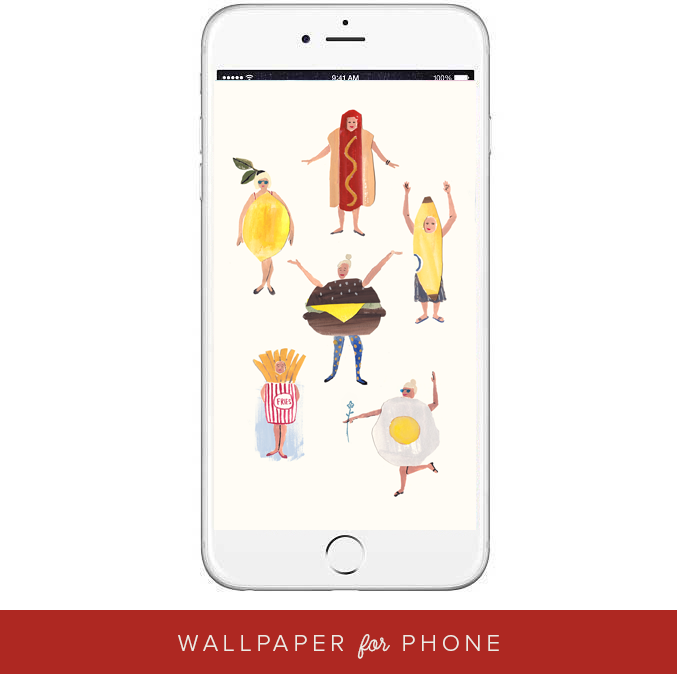 As you’re probably aware, I dressed up as a hotdog a few months ago, as any normal person would do (gah!) 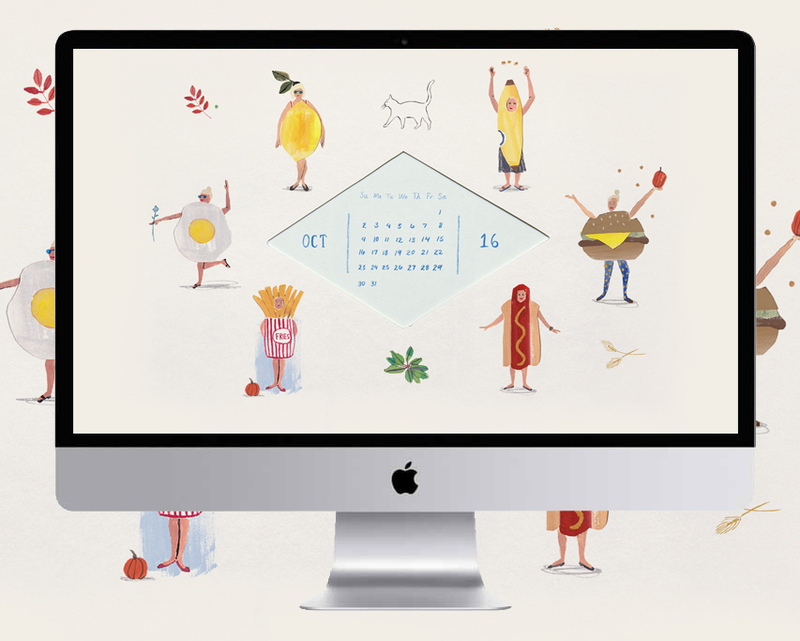 and that sparked the inspiration for these adorable illustrations by Monica. I’m dying over this. That lemon get-up is calling my name! How’s the reading going? Are you following along with our Lars Book Club Instagram posts? I get it – there’s ALOT of info in Michael Rosen’s Alphabetical. But I hope the facts and history haven’t made your eyes glaze over. If so, just skip to the next chapter! 🙂 There’s sure to be a topic to interest you. Have you picked a favorite chapter (or letter) yet? How Rosen researched each of the letters and themes associated with them is mind-boggling to think about. I’ve truly enjoyed learning about where the language I speak and alphabet I use every day comes from. We take so much for granted! Below are some questions to think about, plus a couple further reading suggestions.